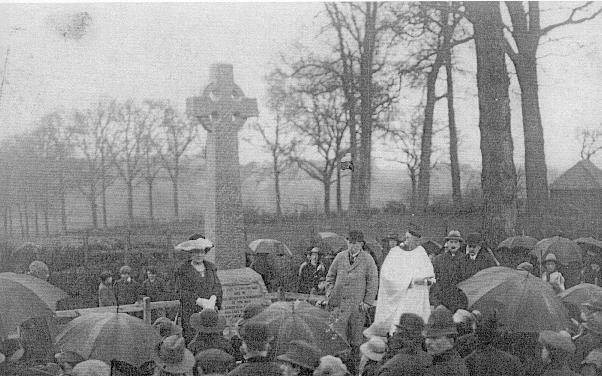 The setting of the Cross changed over the years as trees were felled and replaced by hedges. 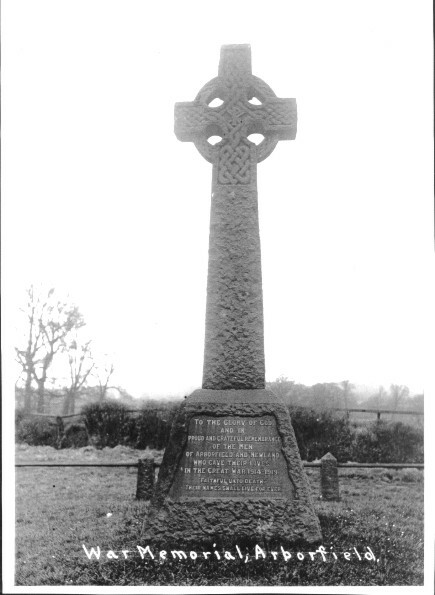 The memorial was re-dedicated in 1948 to commemorate those who had fallen in the Second World War, and also to add E. E. Sturges from the First World War. 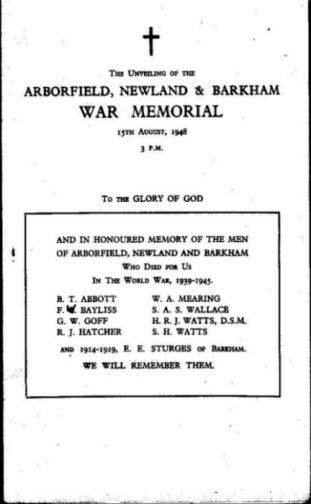 The Sturges family lived at Barkham Square, but were connected by marriage to the Simonds family, and the name was long associated with the Wokingham Rural District Council. Over the years, the Cross has been battered in road accidents, and had developed a major crack when it was taken down in 2004 for the building of the new roundabout. It was moved to the north side of the junction rather than become a target for careless drivers. The crack can be clearly seen in this view from mid-March 2004, a month before it was dismantled. The roundabout was completed by September, and the Memorial was relocated on the east edge of the junction, beautifully restored. The roundabout and the surroundings have been carefully landscaped. 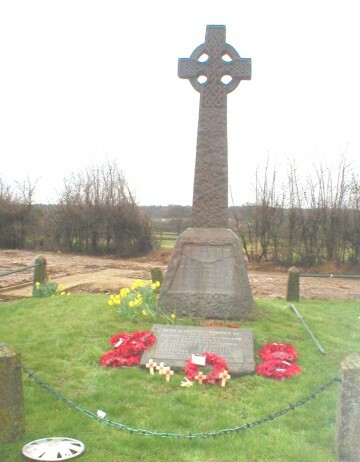 To see the memorial as it was Remembrance Sunday 2004, click here.